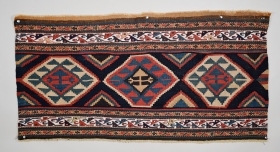 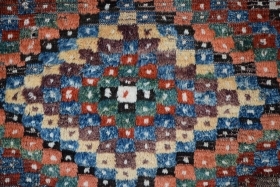 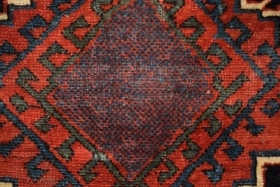 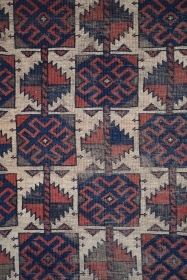 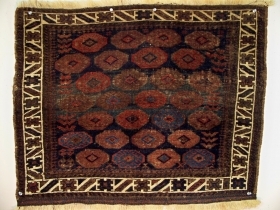 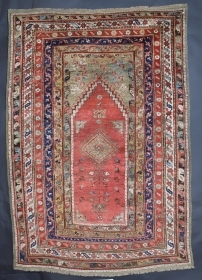 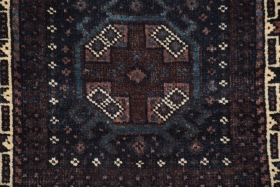 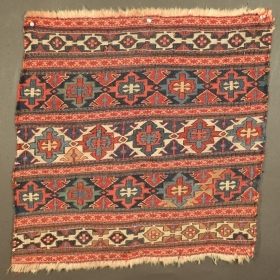 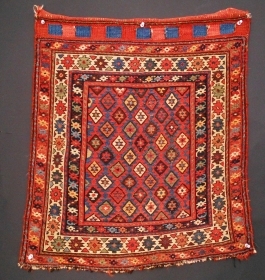 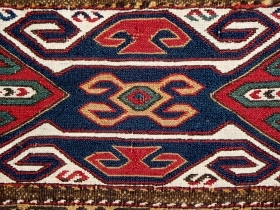 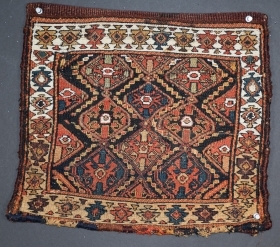 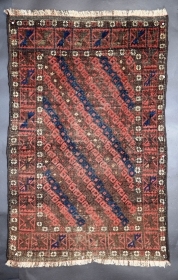 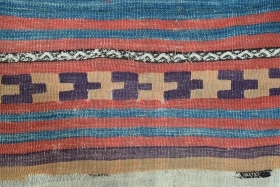 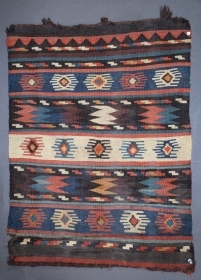 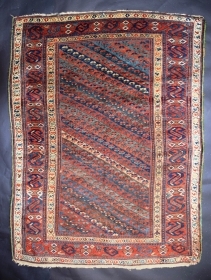 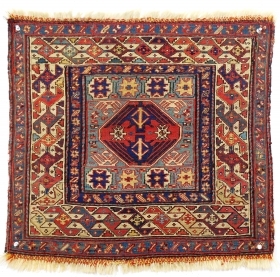 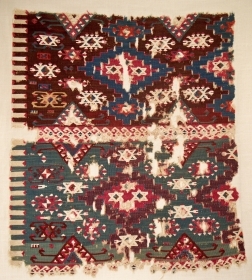 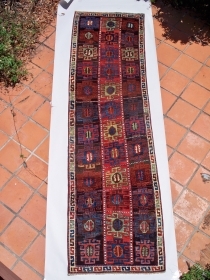 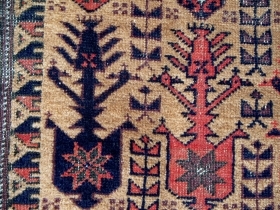 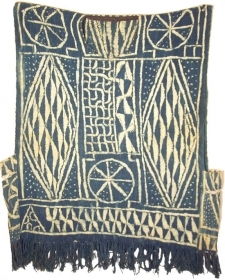 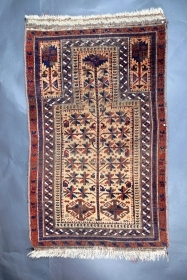 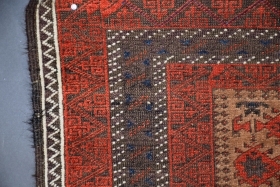 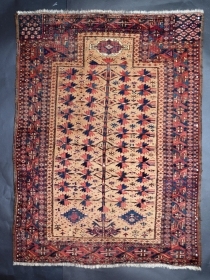 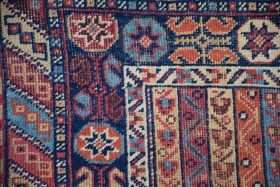 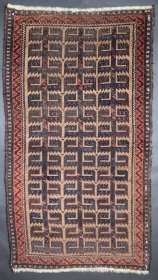 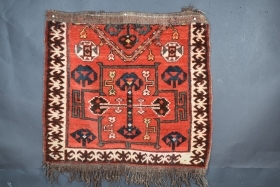 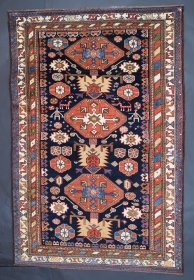 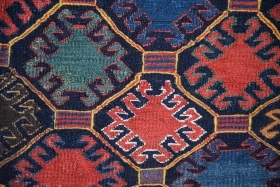 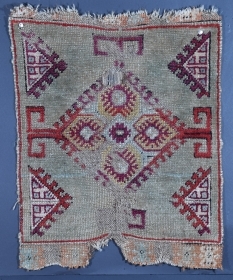 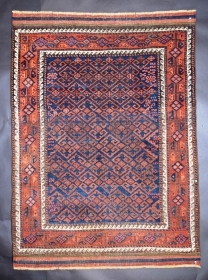 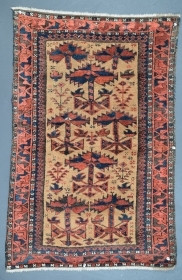 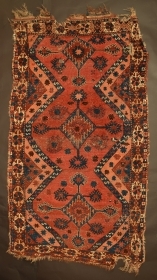 Kurdish rug, 51.5" x 80", late 19th century, brilliant, natural dyes, deeply saturated, near perfect condition with soft lustrous wool, professionally washed. 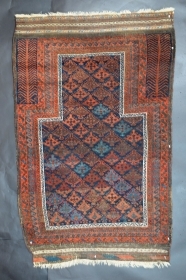 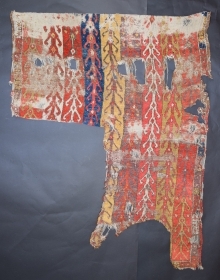 Anatolian pile rug fragment, Eskisehir-Afyon region (tentative), 53" x 68", professionally washed and mounted. 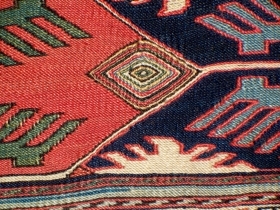 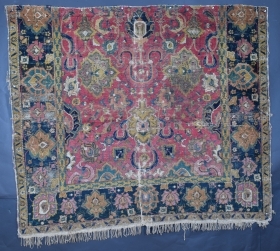 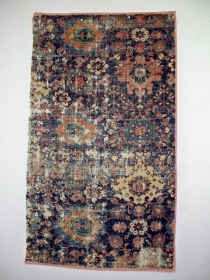 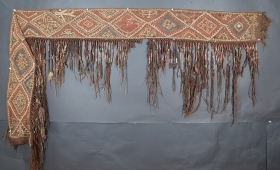 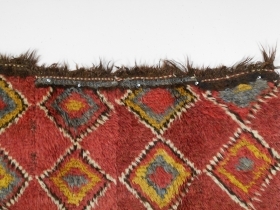 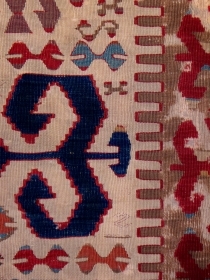 18th century northeast Persian rug fragment (401), 30" x 52", the weaving was washed and professionally mounted.